By Melissa Lennig on May 21, 2015 9 Comments. This content contains affiliate links. As an Amazon Associate I earn from qualifying purchases. 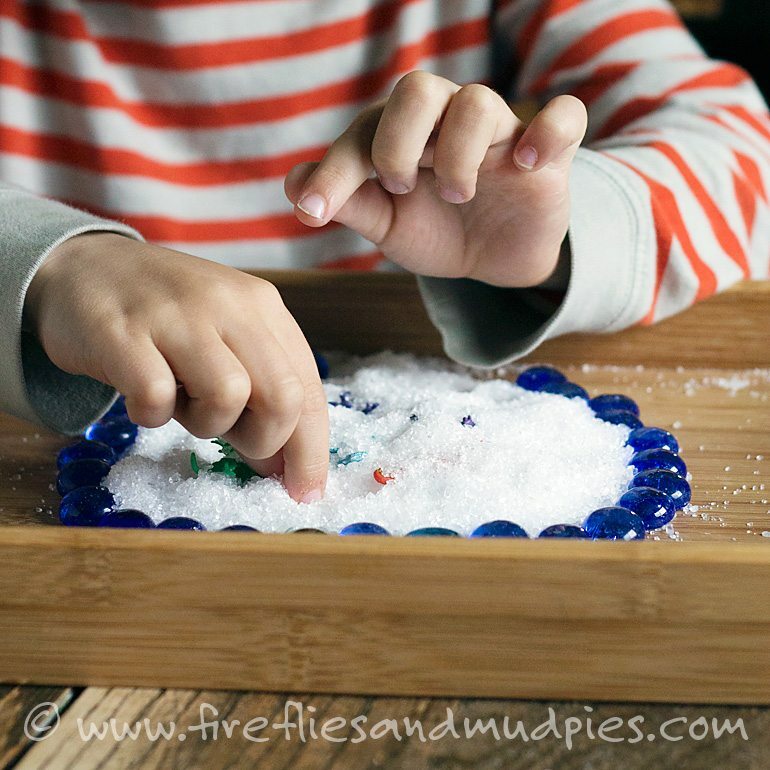 Soothing, calming, and appropriate for any season, an epsom salt tray is the perfect sensory activity for kids who need to wind down, relax, or calm angry feelings. 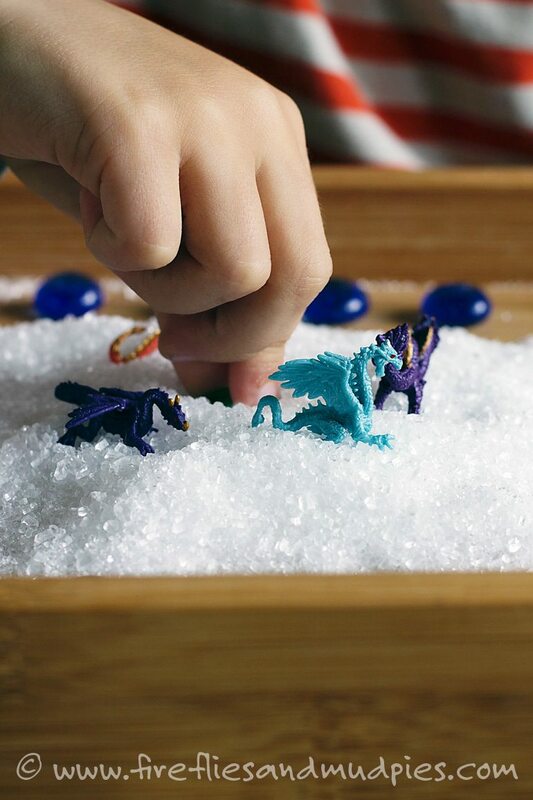 My youngest son enjoyed playing in the epsom salt with glass gems and miniature dragons. 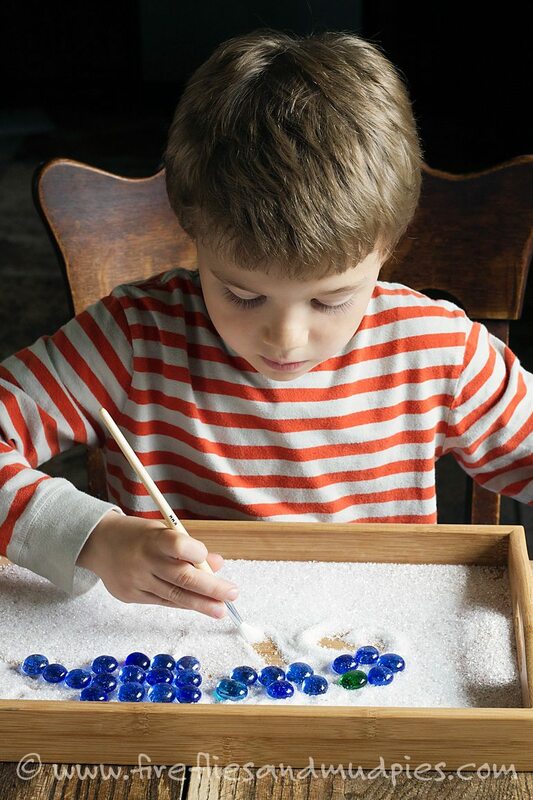 He made patterns, created imaginative scenes, pretended the gems were dragon’s eggs, and even practiced writing his name in the salt. He liked the texture between his fingers and the way the salt poured easily out of his hand. He happily played and created for hours! 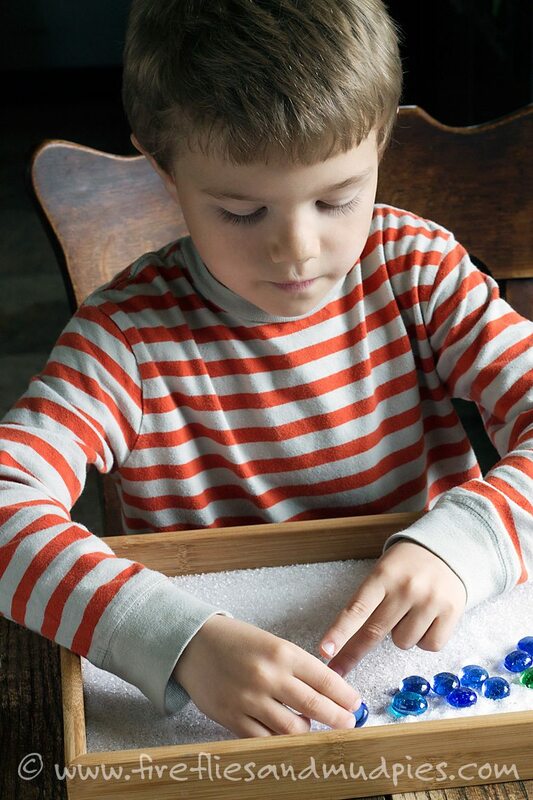 Later on, we practiced writing his name, some letters and words, and practiced counting with the glass gems. Such a fun way to play and learn!